This chapter adopts a neorealist approach to analyze the structural megatrends of the twenty-first century: types of interaction and distribution of power within the enlarged group of the world’s leading powers, and the territorial reconfiguration of the world that is taking place as a result of great power politics. One assumption is that states continue to play a visible and active role in world politics. The number of great powers has grown, bringing more complexity and controversy to international relations, global and regional organizations, and governance. Great powers often aim at establishing new types of regional subsystems on the basis of common interests and challenges, constituting its core, and determining economic and often political development of the countries involved. The author presents a definition of a regional subsystem, examining the North American, South American, European, and Russian (Small Eurasia) subsystems. 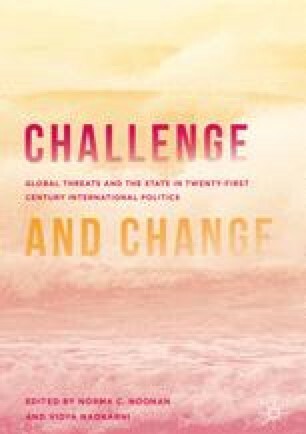 The chapter suggests possible scenarios for the future development of the international order depending on the distribution of power between leading world countries (primarily, the USA, China, Russia, and the European Union).